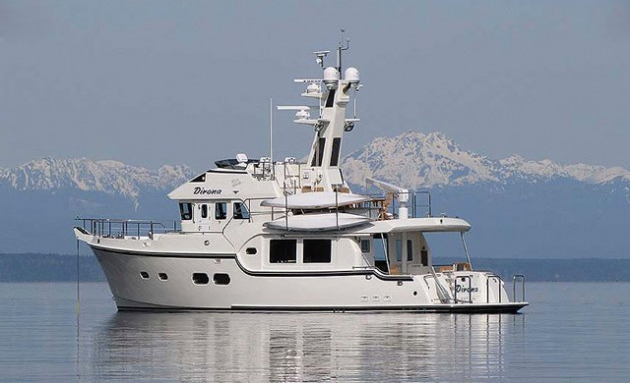 Magnificent 3 stateroom, 3 head welded aluminum motor yacht built by Coastal Craft in the Pacific Northwest. Capable of open water cruising; Ideal for Alaska-Mexico voyaging or local family cruising. Twin Volvo IPS 1200/D13-900 hp with IPS3 drives. Fully integrated navigation electronics systems include 2 X 15" Volvo/Garmin touch screen displays, autopilot, Volvo EVC panel, VHF, remote searchlight, Volvo joystick controls, Volvo dual engine binnacle controls, Volvo tilt steering, Humphree Interceptor trim system, twin Stidd helm seats and more. Absolutely exhaustive gear list, solid construction, beautiful fit and finish and top gear in every aspect. Call us to arrange a viewing. - Gregory C. Marshall Naval Architects, Ltd. Design. - CE Category B Rating. 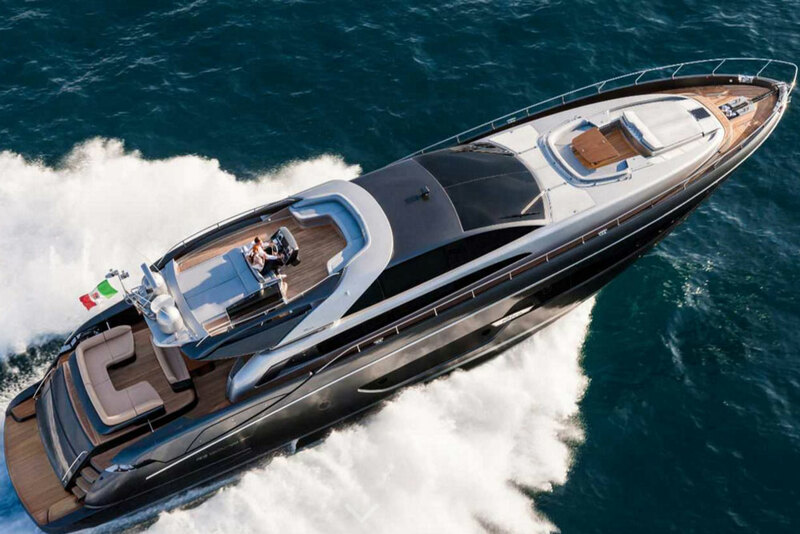 - The hull, decks, superstructure and framing materials are all marine grade 5083-H116 aluminum alloy. - Welding procedures include aluminum Mig and Tig welding. - Sound dampening methods including isolation tiles and coatings applied to hull, bulkheads and superstructure. - Soundown insulating panels installed on bulkheads, deck heads and walls in machinery spaces. - Polyurethane Foam Insulation on all internal aluminum surfaces provide thermal insulation. - Engine space insulation includes insulated panes with powder coated perforated aluminum protective skins. - Nidacore panels are used throughout finishing construction and provide excellent insulating characteristics. final primers and topcoats. Including engine and mechanical spaces. Lockers to be painted with Kiwi Grip coatings. - Interlux Tri-Lux antifouling bottom paint system. - All exterior deck fittings and fasteners are 316 stainless steel. - Stainless steel bow rails (2” round) around perimeter of main deck and boarding stairwells. - Cap Rail Stern Cleats integrated into side passage handrails at aft end. - (8) 12” stainless steel cleats (including 2 on swim platform). - Anchor pocket and roller assembly (mounted through raised Bulwarks). - Stainless steel grill fixtures mounted in hull side recess on both Port & Starboard side. (Note: Dissimilar metals isolation practices applied on all fasteners and hardware). - Exterior 3/8” teak decking on all main and flybridge exterior decks including swim platform. - Stainless steel anchor stay (deck mounted). - Fritted Glass - forward windshield panels (12 mm). - Fritted Glass - cabin side windows (tinted) (8 mm) with 2 opening side windows. - Stainless Steel double hinged salon entry door (tinted). - (9) port lights (various sizes, shapes and locations). - (1) “Manship” stainless steel deck hatch (28” square) in foredeck (with “Oceanair” screen/shade assembly). - Pantograph watertight transom door. - (2) Watertight transom locker doors. - Watertight engine room man door into lower deck accommodation space. - 60” deep swim platform (full width) with Port & Starboard boarding stairwells onto aft cockpit deck area. capped with a 2” X 3/8” stainless steel finishing rub strip. - (2) Port & Starboard Garelick boarding ladders (4 step) that are recessed into hull beneath swim platform. - (5) Imtra LED courtesy lights (deck level) on inside of Port & Starboard hull wings and in the transom. - (2) Volvo Joystick Controls (Starboard & Port side) provide docking convenience and ease. - The aft cockpit deck is self-bailing with deck scupper drains. table is high gloss teak with inlay border with stainless steel pedestal with Sunbrella cover. - (2) JL® waterproof speakers. - (2) Gost monitoring video camera (see navigation equipment). - Stainless steel fly bridge stairs with teak stair treads. - Port and Starboard boarding stairs leading down to swim platform with hinged SS gates at top of stairs. - Port Side mini-bar with Isotherm Inox 160 Combo fridge, freezer with icemaker. - Anchor locker with (2) access deck hatch (latched). - Self-launching anchor roller assembly and fairlead. - Upper deck drains (Port & Starboard). - (2) Stidd helm seats with armrests (with Sunbrella covers). stainless steel pedestal (with Sunbrella covers). - The upper helm/driving station includes an ergonomic and comfortable driving position. - Volvo Autopilot Control Panel (see navigation electronics). - Interior cabinets and selected joinery finished in Sapele. - Wood (pre-finished) flooring through main salon, except stone flooring in galley. - Majilite upholstered wall and ceiling panels. - Entry through rear double hinged rear salon door. - “FWD” U shaped dinette settee with table (seating for 6). - “Aft” U shaped lounge seating (seating for 6) with coffee table. - “Mid” U shaped galley – see detailed description. - “FWD” Helm position with two Stidd seats/position mounted on cabinet with storage beneath. - Companionway stairs to lower deck between helm seat and port settee on center line. - Includes upper & lower cabinets. “U” shaped cabinets with partial full height bulkhead between galley & helm. - Drawers and cupboards with stainless steel flush latches. - Granite countertops and back splash. - Miele KFN9755 IDE (24” D X 24” W x 69” ) Fridge/Freezer. - Miele® KM5947 24” Induction cooktop (3 burner). - Miele® H4042BMss convection microwave (built-in). - Fisher Paykell Dual DishDrawer dishwasher. - Blanco Radius 10 stainless steel under mount sink. - Blanco Silhouette pull out 400459 stainless Galley faucet (single lever). - (4) AC outlets (duplex). - Wool carpet floor covering. - Majilite wall and ceiling panels with select accent wood wall panels. - Imtra LED down lights. - Imtra LED Alcove lighting. - Wall mounted 42” LCD HD Flat Screen TV with Blu-Ray & Apple TV. - Entry door located forward end of cabin slightly offset to Port side. each night stand. Upholstered/quilted headboard insert above bed. - Built-in Starboard side lounge with drawers beneath. - Aft hanging locker (full height). - Built-in Port side cabinet with (9) drawers (window height). - Vertical Oval Port & Starboard side “Port Lights” with framed valance and privacy screen/blind. - (1) Full height hanging locker located mid ships in Head. - Head walls finished in Sapele. - Forsa Stone marble floors and walls in head and shower (including shower ceiling). - Forsa Stone vanity countertops with double vanity sinks. Wall mounted faucets. - Lower Vanity cabinet includes drawers and cupboards. - Upper vanity cabinet includes mirrored doors with storage. - Dometic 8700 MasterFlush Toilet. - Majilite ceiling and wall panels. - Entry door to aft of cabin (on centerline). - Queen V-Berth with step up platforms on each side. - Port & Starboard nightstands with wall mounted lights. - Port and Starboard full-height hanging lockers. - Port and Starboard side “Port Lights” with framed valance and privacy screen/blind. - Ensuite entry door located aft and to Port of cabin. - Wall mounted 32” LCD HD Flat Screen TV with Blu-ray & Apple TV. - (1) Stainless steel Manship deck hatch (26”) with Oceanair Screen/Shade. - Imtra LED ceiling down lights, Alcove lighting and Cantalupi reading lights. - Forsa Stone vanity countertops with ceramic drop in vanity sink. Wall mounted vanity faucets. - Upper vanity cabinet includes mirrored doors (full width). - Shower with glass enclosure and door. - Majilite ceiling panel in Head portion only. - Wall mounted 32” LCD HD Flat Screen TV. - Entry door on Starboard side of cabin from companionway hall. - Two single berths (30” X 78”) with a center walkway between. - A center nightstand with AC receptacle and lower drawers located between the berths. - A bank of built-in upper cabinets located above inboard berth. - Full-height hanging locker located on outboard side of cabin at forward end of berth. - (2) Horizontal Oval “Port Lights” with framed valance and privacy screen/blind (outboard wall). - Mirrored upper medicine cabinet. - Aquabrass niu 67714 vanity faucet and Blanco Quadris 401043 soap dispenser. - (1) Horizontal Oval “Port Light” with framed valance and screen/shade. - Viking 15” Trash Compactor. (including two vertical grab rails in foyer). - Imtra LED ceiling down lights and floor lightings (as described in detail). - Volvo tilt steering helm with Volvo steering wheel. - (2) Volvo Electronic engine controls. - (2) Volvo/Garmin® 8015 MFD touch screen (see navigation electronics). - iPlex/iPad vessel control panel. - Garmin VHF 200 radio & Garmin GHS 20 VHF remote (see navigation electronics). - Humphree trim tab control panel. - Eplex switching panel (6 bank rockers). - Yamaha entertainment system including 3 listening zones (salon, cockpit/fly bridge). System includes Yamaha AV receiver/amp, Pioneer Blu-ray disc player, Apple TV, AirPlay, XM satellite radio. - Speakers including Bose 5 channel surround sound in salon and JL outdoor speakers in cockpit and fly bridge. (with Blu-ray disc player) Apple TV with AirPlay. - (Guest Staterooms) 32” Sharp Aquos LCD TV wall mounted (with Blu-ray disc player, Apple TV with AirPlay). - Iridium I4 Satellite TV Antenna. - (4) Volvo/Garmin® 8015 MFD (15” touch screen display) (two at main helm and two at upper helm). - Canadian & US charts pre-loaded with Blue Chart G2 (BC Coast). - Garmin GMR 604 x HD 48” (6KW) Open Array Digital Radar (72 NM). - Garmin AIS 600 Transceiver. - Garmin GPS 19x GPS sensor. - Garmin GXM 51 XM weather. - Garmin GSD 24 digital sounder module. - Airmar® thru hull transducer. - (3) Garmin Gost marine camera (engine compartment & (2) under mounted to rear edge of hardtop looking aft). - Garmin® GHP 10V IPS autopilot with (2) GHC 10 Marine Autopilot Control Unit (main & Upper helm). - Garmin VHF 300 with Morad Antenna & (1) GHS 20 wireless remote (lower) & (1) GHS 10 wired remote (upper). - Garmin VHF 200 (lower) with Morad Antenna. - Imtra Viken LED courtesy lights (cool white). - Imtra Ventura LED down light (recessed) with dimming function (warm white). - Imtra Ventura LED down light (recessed) with 3 zone dimming functions (warm white). - Alcove lighting (Imtra LED strip lighting). - Imtra Ventura LED down light (recessed) with 2 zone dimming function (warm white). - Cantalupi LED reading lights. - Imtra Ventura LED down light (recessed) with dimming function. - Cantalupi LED reading lights - Master Head/Shower. - Imtra Andromeda G1 LED courtesy lights (deck level) (warm white). - Imtra F16 LED utility light. - All closets and large storage lockers to have LED lighting (hatch switching). - Humphree Interceptor trim system (1050MM tabs) with (2) control panels comes with ACTIVE RIDE CONTROL. - (1) Beam built-in central vacuum with (5) outlets. - Spectra Newport 1000MK water maker with Z-ION System. - (2) Racor 1000MA (dual) fuel/water filters (Volvo engines). - (1) Racor FG500 (dual) filters (Generator). - Central extraction fan system plumbed to vents in each Head (switched with programmable timer function). - ESI “CFS-1000FRE” Fuel Polishing System (120V). - Engine Room storage cabinet with doors. - Reverso Electric oil change pump plumbed to main engines and generators. - Delta Moisture Eliminator Engine Room Air Intake System with (2) 4” Exhaust Fans. - (2) 665 US gallon (1330 US gallon total) aluminum fuel tank (integral) with pressure sender level indicator. - (1) 220 US gallon stainless steel water tank with pressure sender. - (1) 125 gallon holding tank with discharge pump. - (1) 30 USG domestic hot water heater (with AC heating sources). - (1) Headhunter Mach5 domestic water pump (24V). - Glendinning HoseMaster Model 7563LW (1/2” hose X 75’ long) (manual/electric). Fresh water outlet located in transom locker with manual select manifold onboard/shore supply. - Glendinning HoseMaster Model S (1/2” hose X 50’ long) (manual) located in Bow locker. - Engine Compartment: (2) Rule 4000 GPH pump with float switch to run in auto/man mode. - Mid Cabin: (1) Rule 4000 GPH pump with float switch to run in auto/man mode. - Forward Cabin: (1) Rule 4000 GPH pump with float switch to run in auto/man mode. - (3) Dometic 8700 MasterFlush standard height toilets with 139 USG black water tank and discharge pump. - Twin Volvo® IPS1200 (D13-900 diesel engines with IPS3 drives). - (4) Station Volvo Joystick control (main helm, upper helm, Port & Starboard cockpit stations). - Volvo Dynamic Positioning System (DPS). - Volvo Slow Speed Maneuvering. - (1) Additional Volvo Alternator (24V) 115 AMPS (total of 3). - Volvo IPS Protective Anode Kit. - Volvo Clear Wake Exhaust. - Engine spare parts kit. - Onan 21.5 KW generator with sound enclosure. - 24V Power Distribution System for House & Engine. - 24v DC to 12v DC Converter. - House Batteries: Genasun Lithium-Ion 24V Cell (6 X 180AH = 1080 AH). - Engine Batteries: (2 Bank) 24V AGM (Lifeline GRP31). - Generator Batteries: (1 Bank) 24V AGM (Lifeline GRP24). - (3) Victron Quattro 24/8000/200-100/100 (8000 watt inverter). - (1) Pronautic 24/20P Battery Charger (engine start batteries). - (1) 240V/50A Shore Power Service. - (1) Glendinning CM-7 CableMaster (Stern-100’). - (1) Charles Iso-Boost 50. - Eplex distributed power system with network switching & monitoring of all DC & AC systems. iPlex user interface. - Eplex/Watch Dog Onboard/Away Security System. System includes owner interface via secure website. (monthly monitoring fees apply for monitoring services). - (3) Speich windshield wiper motors with SS Pantographic arms and blades (multispeed with delay and self-parking). - Kahlenberg D-1 dual trumpet air horn. - ACR RCL-100D (white) remote searchlight (200,000 candlepower) (24V) with controls at both helm stations. - LED navigation lights & anchor light as per vessel requirements up to 50M. - (3) High water bilge alarms in engine, mid cabin and forward cabin bilge compartments. - (2) High temperature alarms in engine room (resettable). - (5) Carbon monoxide sensors with alarms. - (5) Smoke detector sensors with alarms. - (2) Fire suppression systems (auto/man) in engine room and electrical compartment with auto engine shut down. - Eplex/Watchdog security system. Provides onboard and away security. The monitoring also includes battery voltage, shore power voltage, high water bilge alarms and smoke detector. - (1) CCG Approved Fire Bucket and (6) 5lb. handheld fire extinguishers. - (4) Z4A hull zinc anodes. - Windshield defrost (2 speed exchanger) Cruisair Pilothouse Defroster . - Dometic “Cruisair” R-410A 5 zone air conditioning system with reverse heat controlled via Eplex network. - Steelhead ES1000 Davit Crane (4 function hydraulic crane) on pedestal mount. - (8) Aere boat fenders with socks and fender lines (including pump). - (2) 5/8” X 10’ (4) 5/8” X 20’ (2) 5/8” X 30’ Samson mooring lines (including Chafe Pro Wooly protectors). - (2) Life ring & throwing lines, teak flag staff and stainless steel deck socket. - Vessel Owner’s Manual and systems drawing package. - Five days of vessel orientation and training. Aluminum – 10 year limited, Deck Hardware – 2 year limited, Paint – 2 year limited, Wood Joinery – 2 year limited, Upholstery – 2 year limited, Machinery – 2 year limited, Electrical – 2 year limited. All warranties are transferable. 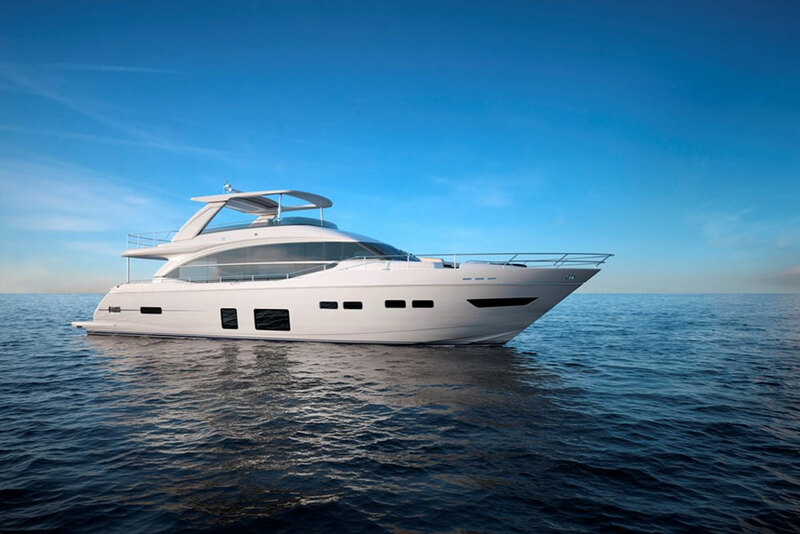 Ten (10) Year Limited Structural Warranty, Transferable: Builderwarrants the hull, cabin, decks and all original aluminum construction under normal non- commercial use, shall remain free from structural defect for a period of Ten (10) Years from the original date of purchase. 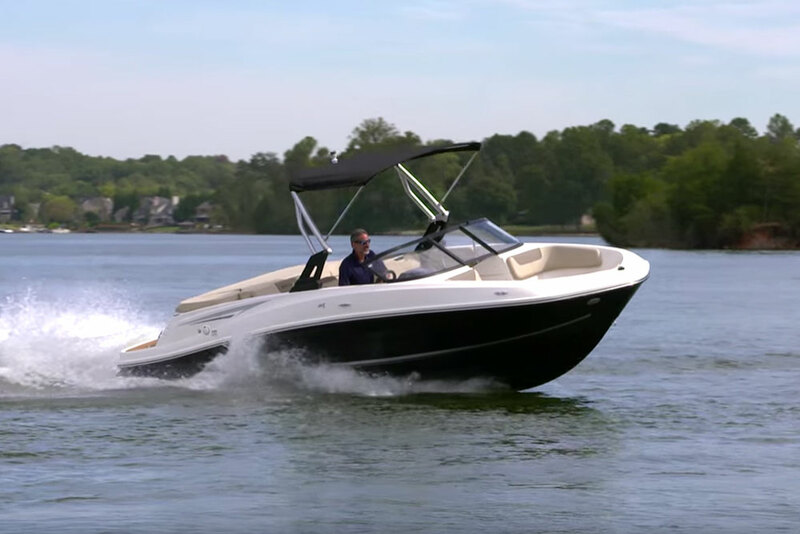 Two (2) Year Limited Warranty, Transferable: Builder warrants that each new Coastal Craft boat, as manufactured by Coastal Craft Welded Aluminum Boats Ltd., will under normal use be free of defect in material and workmanship for a period of two (2) years from the date of delivery. 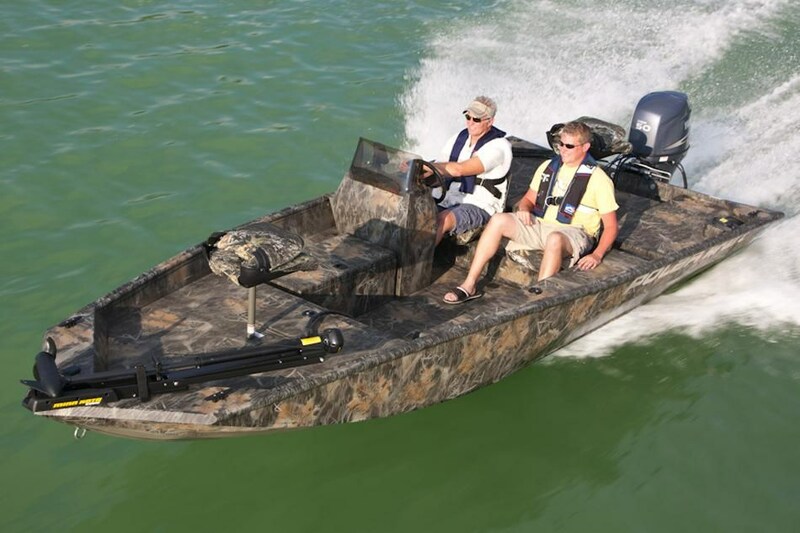 This coverage applies to factory-installed components including paint (blisters or cracks if not caused by impact or collision), boat parts, options, engine and drive system (as described in detail in the engine manufacturer’s warranty), or other components not manufactured by Coastal Craft Welded Aluminum Boats Ltd. This warranty shall not apply to normal maintenance of boat or engine, or any component thereof, including but not limited to alignment, adjustments, connectors, tune-up and parts, and wear items including, but not limited to, bushings, packing material; belts, bulbs, filters, seals, gaskets, o-rings, bellows, water pump impellers. Damage or malfunction of a boat, or any component thereof, resulting from owner use, lack of maintenance, improper maintenance, impact, misuse, negligence, collision, delay of repair (unless specifically and directly authorized by the Coastal Craft warranty department), improper or inadequate trailering or cradling of the boat. 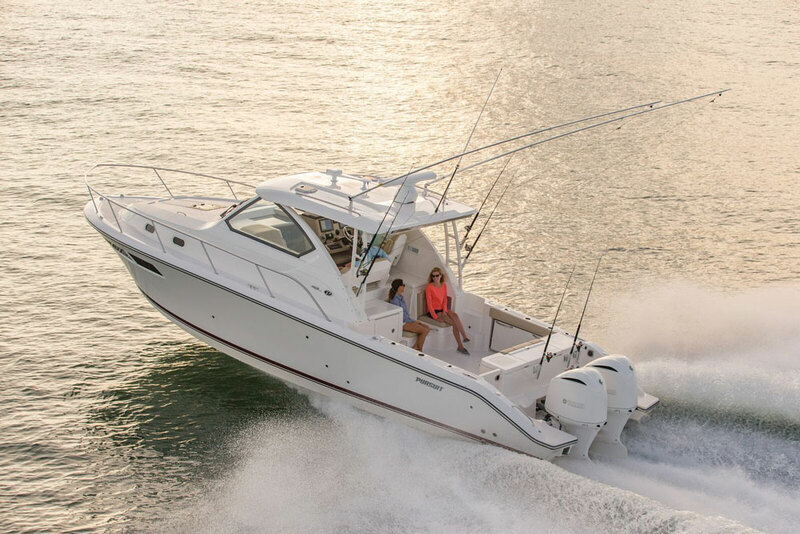 Any addition, modification or repair of the boat, or any component thereof, caused by, resulting from or in connection with any party other than Coastal Craft Welded Aluminum Boats Ltd. or any defect or product failure caused by, resulting from or in connection with any such addition modification or repair.